Family Dollar of Neptune received preliminary approval from the Neptune City Land Use Board this week to renovate the former Hostess outlet on Route 35 for its new location. Final approval is expected to be granted next month. 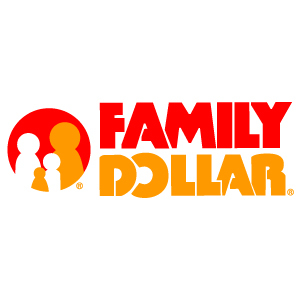 When the new space is renovated and ready to open the Family Dollar store currently operating in the Stop and Shop center will close. The company will upgrade and renovate the former Hostess building to use a portion for a 9,480 square foot Family Dollar store. The remaining 9,700 square feet is proposed for up to 6 additional tenants. The applicant seeks design waivers related to parking within 5 feet of a right of way and driveway width as well as installing a 130 square foot freestanding sign instead of the current 50 square feet maximum permitted. In other Neptune City business, the Borough Council authorized a third payment of $50,000 to go to the $250,000 special emergency appropriation for the recovery from Hurricane Sandy. “We’re paying this down,” said Mary Sapp, Borough Administrator. During mayor and council reports, Mayor Robert Brown discussed the Neptune City Business Fair, which took place two weeks ago. Councilwoman Pamela Renee also expressed her gratitude for the event saying that a Neptune City resident approached her to thank her police department. Brown also thanked all those who participated in Neptune City’s Annual Bocce Tournament for breast cancer awareness. He said the borough would be able to make a very generous donation to Meridian Health from the program. Brown also asked Director Edward D. Kirschenbaum to speak about the Police Unity Tour to Washington, D.C. for Police Memorial Week. Neptune City Officer Thomas Holmstedt is currently participating in the ride. A ceremony was held in Bradley Beach where members of the Neptune City police department attended. During public participation, Neptune City resident Michael Skudera voiced his concern over the air quality coming from Nylabone. Brown responded saying that in the past the town has contacted the health department to monitor air quality testing and in the past they have fallen under the regulations that they have been allowed to be in. “But we can definitely reach out to the health department to see if there’s anything new on it and maybe come down and do another inspection,” Brown. Posted in Shore Communities and tagged Melissa Beveridge, Neptune, Neptune City.